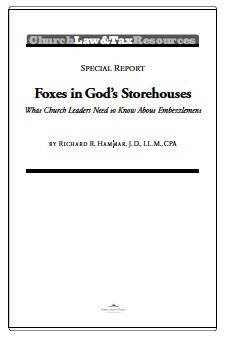 As hard as it may be to believe, embezzlement is a relatively common occurrence in churches. Even so, many churches refuse to adopt measures that will reduce the risk of embezzlement out of a fear that such measures will reflect a lack of trust in the people who handle church funds. This special report explains why church leaders need to take the risk of embezzlement seriously and how they can reduce the risk of financial misappropriation.